Solar energy systems are technological applications that exploit solar power, energy supplied by the sun, and transform it in other forms of energy that can be useful to us; such as electricity to power our electric appliances or thermal energy to use it directly for heating purposes.Herein we take a look at different solar energy systems using a range of energy forms that can be used for our energy demands at home, work, or for the whole community. Photovoltaic panels when exposed to sunlight, through the photoelectric effect, they produce electricity. PV panels are now widely used for home or utility level applications to produce electricity either for own consumption (e.g. remote farmhouses or industrial units) or for selling electricity to the grid through subsidized tariffs schemes (FITs). What has geared a tremendous boost in photovoltaic (PV) panel applications is a drastic drop in PV panel prices globally, especially via competition from China, with cost per watt reaching under one US dollar $1.00. The main disadvantage of traditional PV panes is efficiency which is ranging from 15-20%. Thus Photovoltaic (PV) panels, driven by favorable reduction in costs, have become a preferable solution for home roof tops for both, home energy use in own consumption and or for selling electricity to utility providers, while their relatively low efficiency make it less favorable a solution for large utility–scale applications requiring vast areas of land for PV panels. In general, Photovoltaic (PV) panels incorporate semi-conductor material (photovoltaic cell) which can achieve high concentration of electrons. There are two main types of photovoltaic (PV) panels; thin-film PV and concentrated PV (CPV). 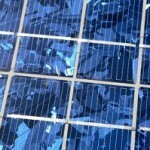 Thin filmed Photovoltaic (PV) are considered to be thinner and lighter than most alternative solar panels solutions more flexible in the silicon materials they use thus providing more versatile applications such as Taylor-made photovoltaic material for roof-tops, windows, shade facades etc. 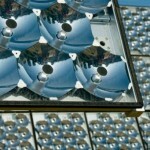 Thin film photovoltaic’s main disadvantages include higher cost than traditional PV panes, ,and lower efficiency levels. Concentrated Photovoltaic (CPV) systems differ from traditional PV panels in that they use concentrating lenses instead of flat silicon resulting in enhanced efficiencies of up to two to three times compared to traditional photovoltaic (PV) panels. Concentrated Photovoltaic panels (CPV) are more comparable with utility scale PV systems and Concentrated Solar Power (CSP) systems used for large wattage power generation. 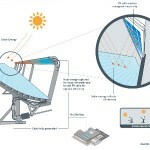 To compensate for their cell manufacture complexity and higher manufacturing cost – resulting in higher cost per kilowatt hour [$/kwh], Concentrated Photovoltaic panels (CPV) require large scale applications in the range of 100 mega watts (100 MW) and in locations with a high direct-normal-irradiance (DNI). Solar thermal systems exploit energy from the sun to generate or gather thermal energy and store it in a medium at high temperature (eg. water or oil). The high temperature liquid can them be used directly as a heating agent to provide for domestic hot-water for use, or for space heating in a closed heating circuit, or to drive a steam turbine (at higher temperatures) for generating electricity. Solar hot water heaters are widely used in residential or community or industrial areas with high solar radiation for water heating used primarily in residential hot-water use, space heating with special heater installations as in under-floor heating, or heating of swimming pools. These systems incorporate flat plate or evacuated tube collectors to absorb solar radiation to heat up water and store it in special insulated storage tanks. 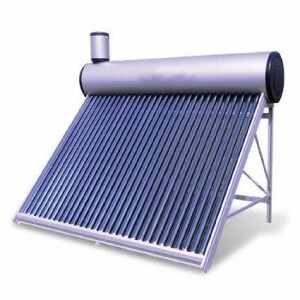 Solar water heaters are usually seen on the rooftops of houses or commercial buildings. Concentrated Solar Power (CSP) systems use reflectors to concentrate solar radiation and collect thermal energy to heat up special malted salts at temperatures as high as 1000 C°. The hot liquid is used to generate super-heated steam to drive a steam turbine and drive a generator to produce electricity. The four main types of Concentrated Solar Power (CSP) systems are Concentrated Solar Towers, dish stirling systems, parabolic troughs and concentrated linear reflector systems. CSP systems cost billions of dollars to build and are mainly used at large scale power plants that supply electricity to the power grid. Below is an interesting video on Concentrated Solar Power (CSP) systems that can be found from DOE (US department of Energy). By hybrid energy we define the combination of renewable energy systems such as solar panels, wind turbines; geothermal heat pumps etc., with conventional energy systems, such as a heating boiler or a generator, into an integrated ‘hybrid’ energy system. Hybrid energy systems are basically used for the co-generation of energy from renewable (sun, wind, geothermal, biomass) and conventional energy sources (diesel, gasoline, etc). However there are several types of co generation systems, either hybrid (using renewable and conventional energy sources) or non-hybrid, i.e. using only conventional or only renewable. Renewable Solar cogeneration systems incorporate both solar Photovoltaic (PV) panels and solar thermal modules into an integrated system for the production of both electricity and hot-water, achieving increased efficiency up to five times more. Traditional Photovoltaic (PV) panels’ efficiency level ranges between 15-20% in converting solar energy (sunlight) into electricity while discarding remaining thermal energy as waste. The integration of solar thermal panels with solar photovoltaic panels can help generating savings while also cooling the PV module enhancing its efficiency and lifetime. Cogeneration is also widely used in conventional power generation (especially utility power generation) with combined cycle turbines which exploit the energy of ‘wasted’ hot gases as bilateral thermal energy used in the primary generation system. In search of solar energy systems for home or for community level applications, hybrid-solar energy systems may give you an extra boost while also being more flexible and tailor-made to your needs yielding higher returns to your investment. However, you should always consider that investment appraisal should always take into account ‘comparable’ alternatives that are based on custom-specific circumstances; for example the value of a solar cogeneration panel may vary depending on the environmental conditions of the installation location – e.g. with high HDI (High Direct Normal Irradiance). 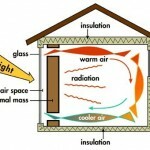 Opposed to active solar energy systems that incorporate mechanical and/or electrical operating devices such as conventional or solar PV or thermal panels, passive solar systems are based on bio-climatic principles that can be various implementations in the design and construction of a building. Passive solar applications include building a solar wall (utilising thermal properties of the materials), or having wall openings (windows) facing south or north for optimising solar exposure and solar heat gains in winter and summer in a building. Passive solar systems and bioclimatic principles are very much dependent on surrounding climatic conditions and morphological conditions (e.g. for congested – urban or more open – rural areas) that are related to the location and orientation of a building.